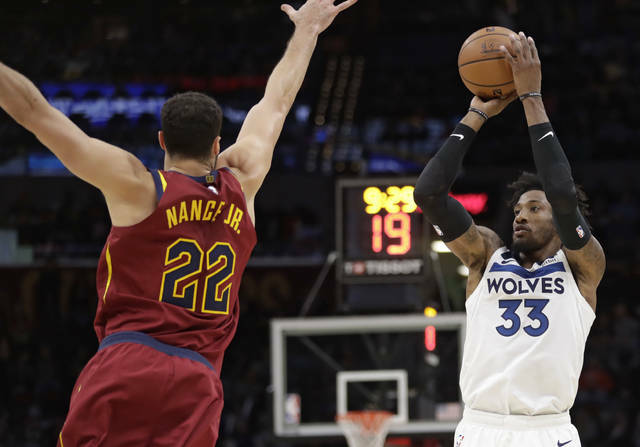 CLEVELAND (AP) — Robert Covington scored 24 points, Karl-Anthony Towns added 21 and the Minnesota Timberwolves beat the Cleveland Cavaliers 102-95 on Monday night. Minnesota is 6-2 since trading disgruntled star Jimmy Butler to Philadelphia two weeks ago and 10-11 overall. The latest win was its second in 10 road games this season. Covington bounced back from a horrendous game Saturday against Chicago when he scored four points, was 1 of 18 from the field and 0 of 10 on 3-pointers. He was 8 of 12 from the field and hit 4 of 7 3-pointers Monday. Minnesota led 69-57 midway through the third quarter. 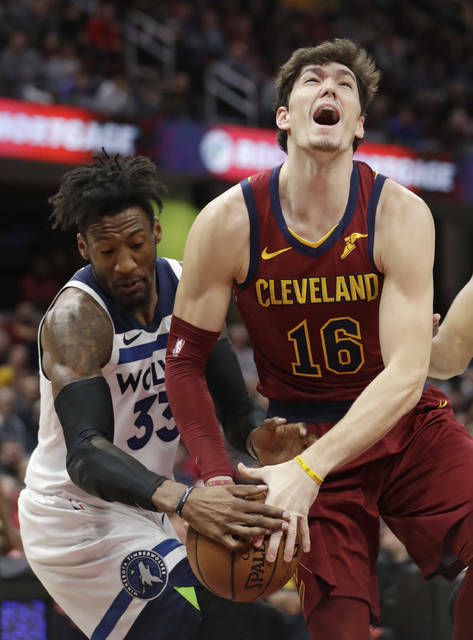 Cleveland finished with a spurt that included a 3-pointer by Cedi Osman and rookie Collin Sexton’s three-point play. 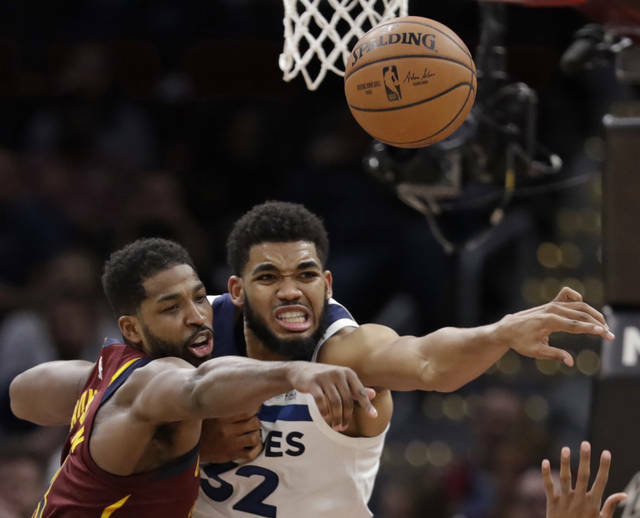 Tristan Thompson had 10 points in the first quarter, helping Cleveland take a 29-24 lead, but Minnesota took control late in the period on a run that carried over to the second. Timberwolves: Teague was the fifth player in double figures with 13 points. … Coach Tom Thibodeau was hit with a technical foul with 24 seconds left in the game. … Minnesota started 3 of 10 from the field and the first basket was Covington’s 18-foot bank shot. Cavaliers: F David Nwaba was out with a sore right knee after starting the previous four games. Larry Nance, who tweaked his right ankle in the fourth quarter Saturday and had to come out of the game, started. … G George Hill (sprained right shoulder) has begun contact drills during on-court workouts.